Because last I checked, OG Spiderman was an Avenger. Maybe not in MCU, but there isn't any clarification anywhere about what sources they are using to be considered an Avenger. Little annoyed after wasting some energy refills only to see the score not move. I'm sure there are some other characters that are obvious but excluded. If I'm not mistaken, I remember his Avenger stints as early as 1990. If you go into the champ info screen, and hit the i next to the stats, you can scroll to see some hashtags. There are 18 champs labeled #Avengers. Some others, as you pointed out, are not #Avengers, but #NewAvengers or #A-Team or some variation. 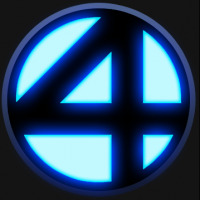 Only #Avengers count towards this. Will do a follow up post with the 18. How is captain marvel not an avenger? 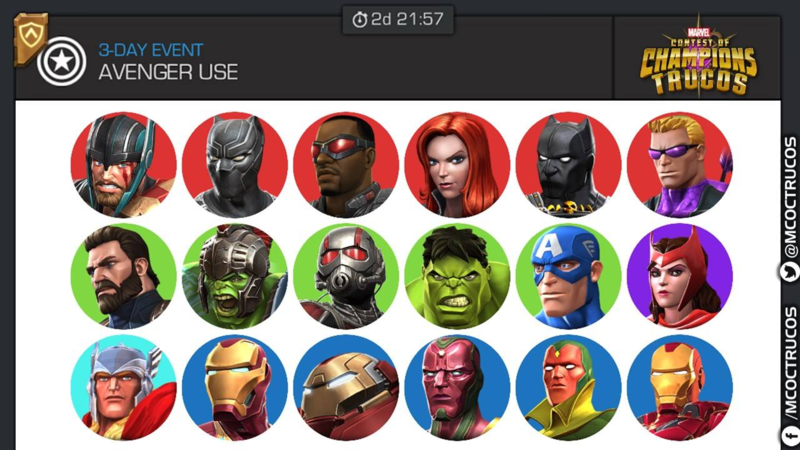 Because Kabam is selectively choosing who avengers actually are based on nothing in particular but their own criteria. Way to keep it vague... Though I shouldn't be surprised. It makes perfect sense based on the initial set-up of the game (remember - this thing has a storyline!). The champions are picked out of different points in the time stream. So they only have an Avengers tag if the version present in the Contest was an Avenger at the time. 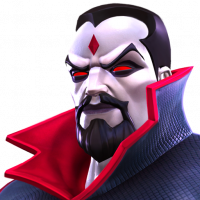 Remember that being an a Avenger isn't always a good thing - it worked out well to have Avengers when fighting Thanos in the last event quest; but it's less useful when you're up against Void and he's got the Fear of the Void synergy active from the beginning of the fight. Hopefully we can look forward to some more Easter Eggs in the future for Avengers, Defenders, X-men and so forth. @Drenlin She used to have an #Avengers tag but they removed it some time ago. Perhaps CM lost it not being an avenger in the MCU yet. In the comics however, she should definitely have that tag. But then, Beast should grt that same tag as well. So, in order to keep things simpler, I think the MCU is what the tags are based on, nothing else. @crogs, as KillerRino19 has shown, that's the same info-graphic I'm referring to since this Avg use event began. As a matter of fact, all you need is to regularly visit Trucos FB page or Trucos Twitter page for MCoC, as well as add Info Bot of MCoC in line. This will save you alot of troubles of keep coming back to this Forum to beg for readily available information at the mercy of fellow players' response, whom also sourced from these places to begin with. Normally any mod will NOT bother to shower you with those info, although they are always there watching. Your bet is a few friendly forum visitors, i.e. your peer players will provide information, but very often mixed with partial or incomplete info, mixed with excellent complete info, and a few jokes. However, Trucos FB page or Trucos Twitter page for MCoC, as well as Info Bot of MCoC in line are very often most consistent, up-to-date, reliable and SELF-SUFFICIENT! I saw it was a Seatin video. That cut short the viewing to approximately 2 seconds.. There is no rocket science here, just run daily stuff with these champs and you’ll rake in points. If you’re a masochist, plow through RttL 1.1 over and over and over. Just ended up picking the 5* Avenger of choice and did beginner and normal for easy units as well as cat runs. Autofight makes those somewhat palatable when I normally wouldn't play. Just annoyed in the absence of any sort of indicator in the actual event that I wasted about 80k in points using OG spider on my one account. And I do the infobot thing normally. Didn't even think I needed to go there until my score wasn't budging off of 26k. Why are 2/3 cap America classed as avengers but not ww2 cap? Because the Avengers didn't exist when WW2 Cap was alive. They didn't exist until after he was thawed. 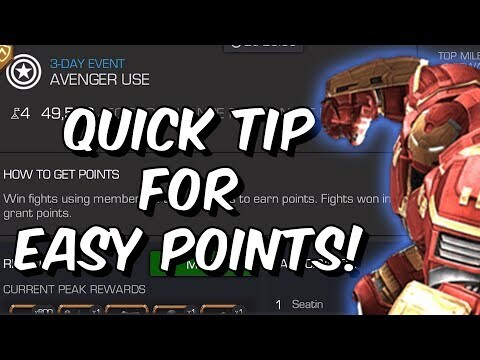 It's sad that their new events like Avengers Use don't show how many points the alliance has so far once you reach the top milestone (doesn't even show you what that point milestone is once you reach it either. No way to track how far up you might be towards going for higher Ranks. This is truly awful. Right up there with how they removed the 0s from alliance events.